People of Ngade Alha community in Birni-Gwari local government area of Kaduna State have attributed many death of their pregnant women and infants to non availability of minimum of Primary Healthcare Centre (PHC) within reach thereby calling on government, corporate organisations and spirited individuals to come to their rescue in good time. Findings by this correspondent during an advocacy visit to this community which is about 80 kilometers away from Kaduna, the State capital, revealed that people here, in spite of their involvement in electioneering are living in the world of their own because they do not enjoy government patronage like those in other towns and villages. For example, there is a single lane road that links Kaduna town to Birni Gwari and then Funtua in Katsina state but, other basic necessities of life like PHC, electricity, telecommunications network coverage and secondary school are lacking hence exposing the farmers and animal breeders especially, the pregnant and nursing women and their babies to serious medical hazards that have sent many to their early grave. This may not be unconnected with the rationale behind members of National Youth Service Corps (NYSC) to risk their lives to embark on the journey to Ngade despite the high spate of kidnapping and armed robbery in the area to offer free medical counseling, test and treatment. Secretary to District head of Ngade Alha, Mallam Habibu Ngade thanked the NYSC for sending corps doctors to his community to render medical help, calling on the state Governor, Nasir El-Rufai to help his community with a primary healthcare facility to help their women and children have access to improved healthcare service delivery as being enjoyed by those in towns. He said, “we thank God for your coming and we can now further understand the importance of the National youth service to communities like ours. We need medical interventions here and urgently too”. A member of the community, Abdullahi Garba Ngade, also appealed to state government to come to their aid by building and equipping a PHC in this community to further reduce the spate of mother and child morbidity. According to the father of two, “My wife was lucky to delivered our first child at a facility several kilometers away from here. But due to that distance, she delivered the second one at home and I’m not sure whether she will be going to hospital henceforth because the place is too far and I cannot risk her life especially with current security situation in Kaduna. “We have lesser number of casualties now than before especially when we have this linking road constructed during Senator Ahmed Makarfi tenure as governor. That road is giving our women the opportunity to go to hospital for antenatal once or twice before delivery usually at home. “But the truth is that, we really need a hospital here no matter how small so we can be encouraged to go there. As it is now, you can imagine what can happen between here and Kaduna. The distance is our problem. We have been working hard to get the attention of our elites to help us with medical facility but that is not yielding expected results for now”, he said. Another native of Ngade, Samaila Jibril frowned at non-challant attitude of political representatives from the area over their inability to facilitate establishment of a medical facility in their community. He said the community has lost several women and children to minor health issues like malaria and typhoid fever because they don’t go to hospital but resolve to self medication using local herbs. “For us, we are happy and grateful to you people for coming to assist us in the area of our health need. We have made a lot of emphasis to our elites but they are not ready to help their own people. We thank NYSC for coming this far simply because they want to assist our women and children. “Your coming was timely because we need to go far distance to get medical help if our chemists cannot help. We need to go to neighbouring community. Many of our women and children have died but we believe God gives and He takes. We thank God that the casualties have reduced but it can be further reduced if we have functional PHC within reach”, he stressed. 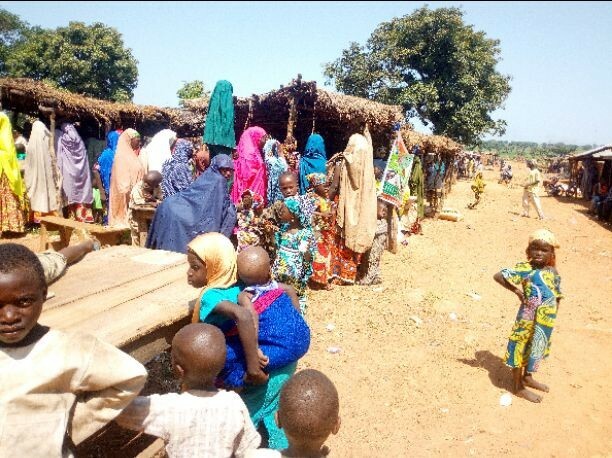 Operator of a make-shift chemist in Ngade, Hayatu Muazu Ngade told Daily Sun that, top killer ailments in the community remain malaria, typhoid and cancer where many especially pregnant women and infants have died due to poverty and lack of hospital around to manage referers. “We don’t even have hospital to admit patients. They can only try to help themselves locally which can lead to death if God so wished. “As a chemist, the main killer diseases here are malaria and typhoid but we now have recording cases of cancer too. 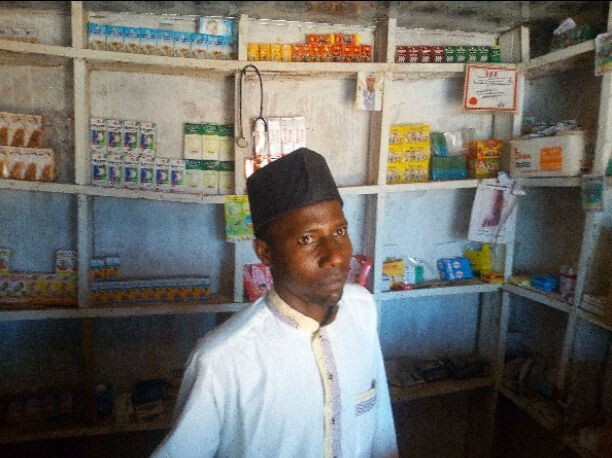 I was trained in Zaria as pharmacist before I come here to establish my store. I’m here to see how I can help my people in anyway I can especially to discover their ailment and refer them to capable facilities early enough so they can be treated. “This community you are is like centre for others. We have other communities like Rafin Kiru, Anyan Mamuda, Anyan Muazu, Kuduru, Gaban Kari, Angwan Doka whose members do come around for help. That is to tell you how many people are in need of medical help in this area alone. So, if somebody has malaria and they bring the person to me, I will give the person ACT or other malaria drugs depending on their age. I also refer them to facilities around Kaduna for further treatment. But due to distance and poverty, many don’t go but end up recover or die at home. “In essence, we have good road though but lack other amenities like PHC, secondary school, mobile telecommunications network coverage and even electricity despite the fact that we have poles and cable already mounted. We are appealing to Kaduna State government to come to our rescue”, 23-year-old husband of two pleaded. The United Nations Children Funds (UNICEF) in collaboration with National Youth Service Corps (NYSC) on had took U-report campaign and health initiative to this people. U-report, which is an initiative of UNICEF implementing by NYSC is a social short messages services (SMS) programme designed to address community issues including health, environment and other emerging challenges that may pose threat to locals. The programme is currently running in Burundi, Uganda, Zambia, South Sudan and the Democratic Republic of Congo. Reiterating the purpose of NYSC health initiative for rural dwellers, Assistant Director, Community Development Service (CDS), Mrs. Stella Ogbechie said, the programme is about taking the health service to those people who don’t have access to medical services not only because they could not afford it, but because it is not even available to them. She said, “as you can see for yourself, there is no hospital here, no clinic apart from this make shift pharmacy you are seeing. It is another way the scheme is taking the national integration to every community in the country. “We are leveraging on availability of team of corps doctors who will be here for few days testing, diagnosing and treat minor ailments they can handle within while those with serious health issues will be referred to appropriate health facility in town”. Desk Officer, U-report in Kaduna, Hajia Jamila Tafarki also confirmed that, “two programmes are running concurrently; health initiative for rural dwellers and U-report. NYSC health initiative is aimed at touching lives at the grassroots and to show them that, they have not been forgotten while U-report is a free social SMS designed to help the locals to report happenings around them in their preferred languages. “U-report is to amplify the voice of the voiceless on medical, environment and other emergency. It is free across all networks in Nigeria. We are flagging off the report here in Kaduna this year’s week. “UNICEF is collaborating with NYSC because there is always corps members at every nook and cranny of the country meaning that, NYSC is present everywhere in the country and can easily help achieving greatly using existing resources”. Team leader, NYSC Corps Doctors, Usman Illo said, “we are here to give free service medical services, advice and health talk and drugs. We are looking at children, pregnant women and others who are in need of healthcare service and even some that are suffering from ailment but are not even aware of their status. So this programme will afford them that opportunity. “Any case that is beyond us here will be referred to appropriate hospital in Kaduna where we can attend to them on appointment. It is a good thing that myself and other Corps doctors are here to meet the health needs of these people to the best of our ability”, he added. The people in this picture are just a representation of several others who are in their own world but in dare need of interventions that will better their lots and that of their children.